When an application (usually a game), is new and the graphic drivers are not updated enough to support it, we get the error. However, this might not be the only reason and simply updating the drivers wouldn’t help. 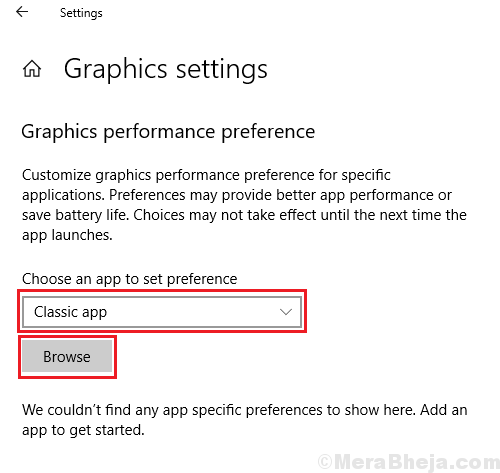 The procedure for updating Windows 10 drivers is mentioned here. Use the steps including reinstalling the drivers and downloading them from the manufacturer’s website to resolve the issue. If this doesn’t work, you might consider downloading the drivers from Intel’s download center. If you check through the links, they mention the latest games covered by each update. It could be helpful in resolving the issue. 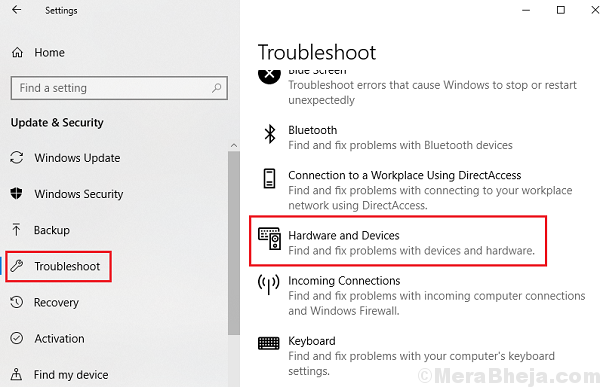 3] Select the Hardware and Devices troubleshooter from the list and run it. 2] Go to System > Display. 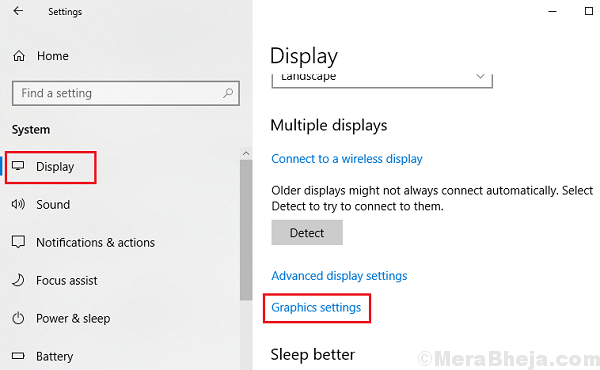 3] In the Display menu, click and open Graphic settings. 4] In the section “Choose an app to set preference,” either choose your game or application through the drop-down menu or browse for it. 5] Restart your system and check if it helps.